Our staff can provide you with detailed information on planning your sightseeing tour of Xania.They can provide you information on the operation timetables of museums, bus routes and ships, proposals for car rental and daily excursions with organized group or individually. Crete is the largest, the most popular of the Greek islands and the fifth largest in the Mediterranean area. The capital and largest city of the island is Heraklion, which is the CAPITAL OF Crete including neighboring islands and islets. With a population of 620,000 inhabitants, about 160 km south of the Greek mainland and extending from west to east, bordering north by the Cretan and south of the Libyan Sea. Is considerede an important part of the economical and Greek cultural heritage. Though, Crete preserves its own cultural elements. In the years 3000 BC-1400 BC flourished on the island the Minoan civilization, one of Europe’s first civilisation, with main centres in Knossos, Cydonia and Phaistos. In the western part of Crete is the prefecture of Hania with its gorges , caves, lakes and beaches ornaments. Important archaeological sites compose the scene that impresses every Greek and foreign visitor. 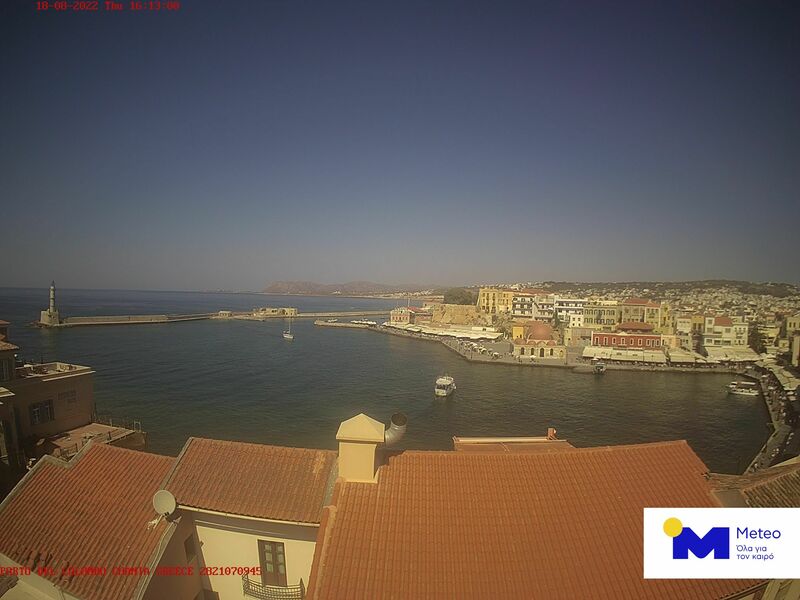 Chania is the capital of the county with many neighborhoods with picturesque …….. The modern city spread out around the old has good layout, open roads, beautiful squares and well-preserved neoclassical buildings. The Municipal Market, the huge building of 4,000 sq.m. on Hatzimichalis Giannari, it is one of the most modern monuments of the city of Chania. Built in 1913 on the bastion Piatta Forma, in the middle of the walls of the Venetian period. Until the late 19th century in the Municipal Market of Chania were roughly established butchers, fishmongers and vegetable shops, an outdoor street market, where the villagers brought their products to sell. In 1908 the municipality decided to groom the party building the Chania Municipal Market ,. It has a cross shape and four gates, one on each wing. It houses 76 shops arranged in groups in the four arms of the cross. The official inauguration of the Municipal Market of Chania made by the then Greek Prime Minister Eleftherios Venizelos in 1913, shortly before the Battle of Crete in May 1941, was completed and the anti-aircraft shelter in the southeast part of the Municipal Market of Chania. During the occupation the Municipal Market of Chania was used by the Germans for the needs of the occupying army. The Venetian harbor with the lighthouse is a hallmark of the city of Chania. Today attracts many visitors and the inhabitants, during the summer months. Many restaurants, taverns, cafes, bars along the beach are ideal for relaxing hours of leisure and entertainment. Built by the Venetians from 1320 until 1356. Manufactured in Firka fort at the harbor entrance in the west and is enhanced by the Bastion of St. Nicholas of Molos on the breakwater. The Ottoman period the Venetian harbor, although constituted trade center, left to its fate. Only in the years of Egyptian occupation (1831-1841) starts again repair works and refurbished and the lighthouse. From the late 19th century the Venetian port is unable to serve the largest ships of the era and gradually abandoned and used the large natural port of Souda which today serves the commercial and passenger traffic in western Crete. The Venizelos graves of Eleftherios Venizelos and Sophocles Venizelos, situated in an excellent location up on the hill of Prophet Elias, only 5 kilometers east of the city of Chania. Both Venizelos graves, one facing the other, located in a beautiful park with gardens, paved floors, paths, steps and terraces, under the shade of pine trees, while what makes terrible beauty of the area is the blue sea and panoramic views of Chania and the region. Before leaving the point where there are the Venizelos graves, sit on the terrace and enjoy the panoramic views of the city of Chania. To get there you can take the City Bus from the Market that goes Kounoupidiana-Polytechneio. For about 1 hour distance. The Aptera, which is approximately 15 km. From the city of Chania and above the Souda Bay, was the Minoan years one of the most important cities – states of Crete. Located in an extensive plateau with an altitude of 200 meters. with a stunning view to Souda Bay. HOW TO GET THERE: By rental car or private taxi … distance about 25 minutes ie 15 km. The Minoan palace is the main site of Knossos, an important city in antiquity, with continuous life from the Neolithic period until the 5th century. A.D. It is built on the hill of Kefalas, with easy access to the sea and the island of Crete. According to tradition, it was the seat of the wise King Minos. Exciting myths of the Labyrinth with the Minotaur and of Daedalus and Icarus, connected with the palace of Knossos. The first excavations were made in 1878 by Herakleion Minos Summer. Followed by the excavations conducted by the Englishman Sir Arthur Evans (1900-1913 and 1922-1930), who uncovered the whole palace. HOW TO GET THERE: by taking a bus from the bus arrive at Bus Station Heraklion, from there take bus to take you to Knossos.